Wombats are ancient animals. Marsupials - the pouched mammals, of which the wombat is one - evolved about 100 million years ago, but the Australian fossil record is woefully sparse. The oldest known marsupial fossils are about 24 million years old, but very little is known about the early marsupials until the period that began about 15 million years ago. At that time, when much of Australia, including the now arid centre, was covered by lush subtropical forest, wombat-like marsupials were roaming the forest floor. 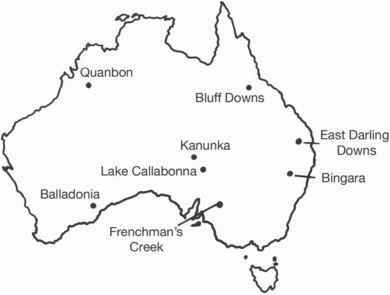 Dolphins played in large freshwater lakes that spread over large areas of what is now central Australia. In the region we call the Simpson Desert, the trees were the homes of possums, gliders and koalas, while small rabbit-sized kangaroos hopped along the gullies, and large lion-sized carnivorous marsupials, Thylacaleo, hunted their prey. 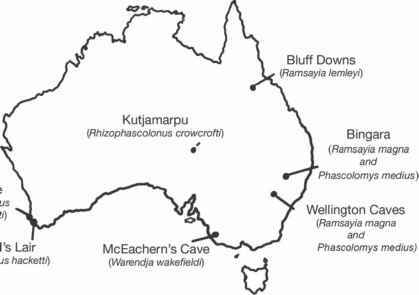 Figure 1.1 Sites at which some fossil wombats have been found. The scientific names of the fossil wombats are given in brackets. family tree, we do know something about the links between these ancient forms and their modern relatives and about the course of events that influenced their evolution. Many of the mammals that were evolving between about 15 and five million years ago were developing larger and larger bodies, and as the world approached the Ice Ages of the Pleistocene some giant forms evolved, with more developing as time went on: several species of giant kangaroos, mighty marsupial lions, and the largest marsupial of all, the Diprotodon - a huge lumbering herbivore, up to two metres high at the shoulder and three metres long, about the size of a large rhinoceros. By the mid-Pleistocene the wombats were giant too. The scientific names of some of these fossil wombats and the sites at which the fossils were found are shown in Figure 1.1. The largest, Phascolonus gigas (Greek phaskolos, a pouch; gigas, giant), weighed up to 100 kilograms. Fossil remains of this giant extinct wombat have been found in many parts of Australia (Figure 1.2). Stockily built, the Pouched Giant was more than twice the size of the largest wombat seen today, but its feet were not as well adapted for digging as those of the modern wombat, so it may not have dug the cavernous burrows that its massive bulk would have needed (Figure 1.3). 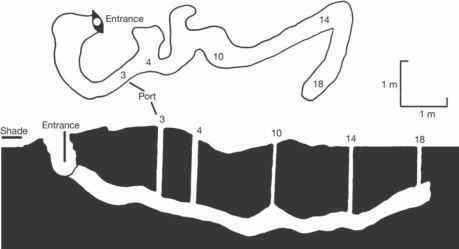 Figure 1.2 Sites at which Phascolonus gigas fossils have been found. 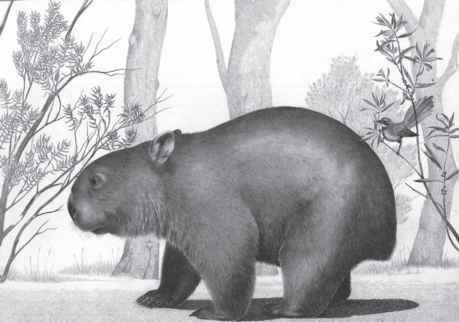 Figure 1.3 Phascolonus gigas was more than twice the size of a modern wombat. Phascolonus gigas and many of the other giant marsupials were probably still flourishing when people first came to Australia, at least 50 000 years ago. By this time too, the two kinds (genera) of wombats living today -those with bare, leathery noses, the Vombatus genus, and those with hairy noses, the Lasiorhinus genus (Greek lasio, hairy; rhinus, nose) - were widely established over the country. These genera first appeared about two million years before the arrival of humans.